Most Kratom users use it for relieving pain, enhancing mood and help with stress and anxiety. It is an excellent energy booster that can help people overcome lethargy and fatigue. But when it comes dosage and use, there remains a confusion because Kratom comes in more than one form. In this article, we will discuss about Kratom capsules, the pros and cons and how to properly use it. Kratom comes in many forms – tea, tincture, capsules and more. Some people think that capsules offer a straightforward option to use Kratom. Yet other people think the tea form offers better experience. All of these are reasons to find out which Kratom form you should use. 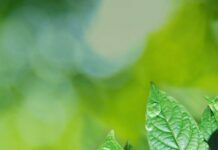 If you’re planning to try Kratom, we provided an analysis of Kratom capsule so you can make an informed decision. Easy to take. Taking Kratom is easier in capsule form. Many people find swallowing the powder a problem as it may stick to the tongue or throat. You’ll be able to feel the bitter taste for longer time. If you’re not comfortable swallowing the powder, the best alternative is the capsule. You only need water to take it. No bitterness. If Kratom’s bitter taste is hard to stand, it will be a bliss to take capsules. Kratom capsules are odourless and tasteless so it can reduce the unpleasant experience. Precise dosage. 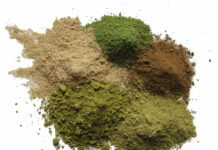 We all know that the effect of Kratom is dependent upon the amount used. Low dosage gives off light, short-term effects while high-dosage can induce exceedingly severe effects. When using powder, measuring the quantity can be challenging but in capsules, they are already pre-measured so one can simply compute the dosage amount per capsule for accuracy. Portable and accessible. Being able to bring the capsules wherever you go is a clear advantage. For regular Kratom users, it is very convenient to take capsules anywhere and only need water. If you’re using powder, it’s very difficult to carry it, measure it and then take it. Capsule is an excellent form for those who regularly use Kratom. Expensive. Kratom powder is slightly expensive, but the capsule form comes with a much higher price due to the extra manufacturing charges. The empty capsules, raw materials and the packaging require extra cost, making these supplements a bit pricey. Limited strains. Most websites selling Kratom capsules only have 3 to 4 strains because most variety of Kratom capsules are not readily available. Chances are, only the most common strains will be available. Limited retailers. There are only a few ‘reputable’ sources that have Kratom capsules in stock. Since capsule processing is a meticulous process, the number of manufacturers producing them is also limited. Risk of adulteration. Kratom powder is open form while the capsules are placed in a secured container. Since we don’t know what is inside the container, there’s a high risk that the product may be contaminated or contains other ingredients that may cause allergic reactions. It is important to buy Kratom capsules from a highly trusted seller. Never trust any random websites offering Kratom in capsules. There are two types of capsules that can be used to encapsulate Kratom powder – vegetarian capsules and gelatin capsules. Cellulose-based or Vegetarian Capsules. This is a great alternative to the gelatin option. They’re made from cellulose, hypromellose and purified water so they’re easier to digest. They contain zero gluten and are ideal for vegans and vegetarians. But some vegetarian capsules are made from methyl cellulose, which is a synthetic material. Vegetarian capsules should be non-GMO and free of chemicals and preservatives. This capsules are classified as Halal and Kosher certified. They can withstand a wide range of humidity and temperature and they dissolve quickly, hence giving immediate effects. Gelatin Capsules. They are more common than the vegetarian capsules. It is inexpensive and comes in many forms, sizes, flavour and colors to suit everyone’s needs. However, the use of gelatin capsules become controversial these days due to the use of animal by-products containing chemicals that are fed on them. You should know that the animal by-product gelatin is derived from collagen, a protein from connective tissues as well as animal organs, which many consumers view as a huge drawback. People with religious or dietary restrictions that prohibit them from taking any animal products won’t find it appropriate to use gelatin capsules. Many people also became sensitive to gelatin and are considered harmful to the body. Aside from the material used, capsules also vary in sizes. Capsule size ‘2’: Can hold 0.3grams of Kratom powder. Most Kratom capsules are in size ‘0’, which holds 500mg of Kratom powder. Are Kratom Extracts Available in Capsule Form? Yes. Kratom extracts are available in capsule forms too. However, the dosing should be taken with caution as they are very concentrated. It is necessary to begin with a smaller dose. How Long Will Kratom Capsule Take Effect? Many Kratom users think that taking capsules can delay the absorption process and so, the effect won’t be immediate. But this is not true, the capsules are easily dissolved in the stomach so if there might be a delay, the average time might only be 5 minutes. Kratom effect can be noticed within 35 to 40 minutes after use. Meals can delay the absorption, so if you use Kratom capsules, be sure to take it 45 minutes before meal or an hour and half after your meal. To speed up the absorption process, citrus juices such as lemon, orange or grapefruit juice can be taken. These juices have an acidic nature, which favour the gastric pH. This quickly triggers the release of gastric enzymes. Another tip is to avoid drinking a lot of water. Water dilutes the gastric enzymes and juices, which then affects the absorption of Kratom capsule. Some users reported making microholes using needle in the capsule to hasten the absorption process. While the gelatin or vegetable capsule is being digested, Kratom is released too. Many users told that this technique effectively reduces the delay of absorption. Next articleMitragyna Javanica – Is It a Worthy Kratom Alternative? I have recently got the galaxy kratom black hole, it was giving to me by a friend. I been having pain in my knee and she told me that will help with it. how many pills should I take a day? I absolutely love kratom it helps me with pain and helps me feel mentally good. No neg side effects. It does not make me high.